Normal ZWCAD is light and handy because it has a much smaller installation package compared to other demanding software, but ZWCAD Viewer is even much lighter as it does not include tools for editing models. As the simplified version of ZWCAD, it follows a light and simple interface, users can enjoy a pleasant and easy .dwg file viewing experience. 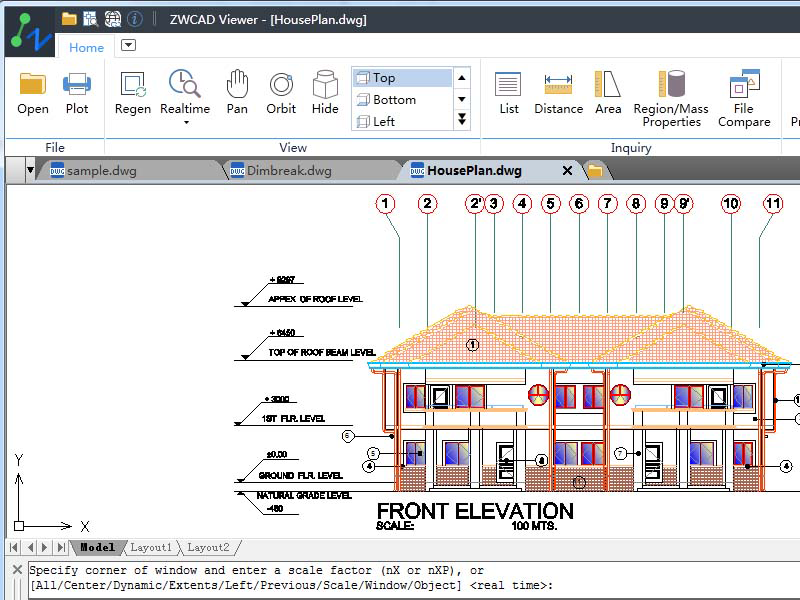 ZWCAD Viewer runs on different operating systems such as Windows (32-bit & 64-bit), Mac OS and Linux. With ZWCAD Viewer, drawings can be viewed in all kinds of frequently used file formats like dwg, dwf, dwfx, dxf and dwt. ZWCAD Viewer is able to measure distance between objects, area of a closed shape, mass and volume of a 3D model, regions or coordinates on the drawings. Its property palette displays all details and it allows file comparison and differences can be highlighted in different colors. To further address requests from CAD users, ZWCAD Viewer opens both 2D and 3D models, users can view 3D models at different angles by rotating with 3D Orbit command. Also, users are allowed to plot their drawings in different file formats including DWG, DXF, JPEG, and PNG.